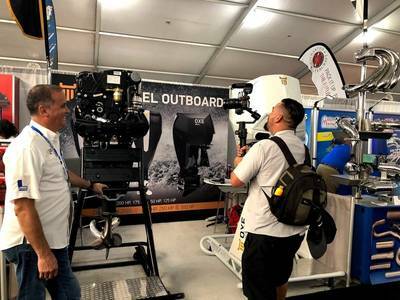 Laborde Products, the Gulf Coast and central U.S. engine distributor behind OXE - the world’s first high power diesel outboard, recently attended the Miami International Boat Show, where the diesel out-board created quite the buzz. The show buzz shortly went viral after the YouTube, rib, and yacht tender restoration aficionado, Al-fred Montaner, took a demo ride with the Laborde Products crew. Boarding a BRIG 730 with drone and camera in hand, Montaner documented the quiet yet powerful ride of CIMCOs diesel outboard. Montaner captured many highlights on the advantages and features OXE has to offer; including its crash stop capabilities and fuel burn. Cruising over thirty knots, the OXE was burning about eight gallons per hour! Since Montaner's YouTube publication was uploaded roughly one week ago, the video has received over 200,000 views. 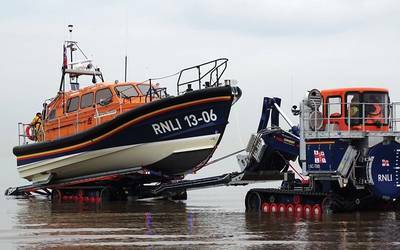 It's not often one sees an outboard go viral, but when it does, it's an OXE.